Domestic, import or craft? You're the one in charge in your very own Cuyahoga Valley pub where all the Tribe fans go to catch the game. This made-to-order print is produced to your specifications — just let us know the names you want added to this "sign of a sign." 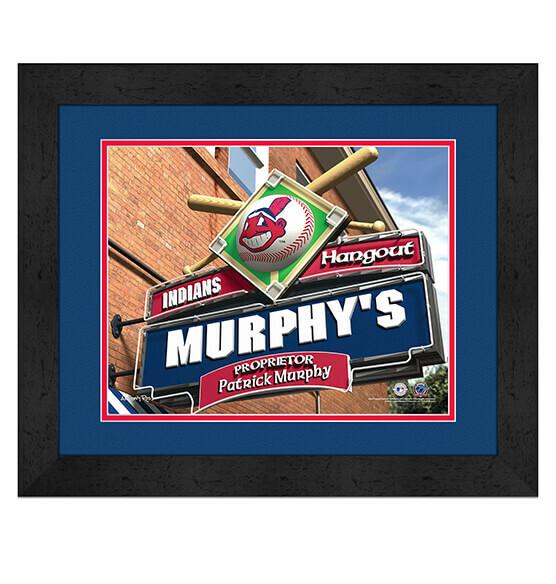 Our generously sized Indians sports decor looks great no matter where you hang it thanks to its high-quality MDF vinyl-wrapped frame, glass and premium paper. It's a perfect fit for your fan zone, home or office that arrives ready to hang wherever you put it. Purchase for yourself or as a fantastic gift for the Cleveland Indians fan in your life.